The flyleaf of this book starts out by saying that the book was the result of thousands of letters that the author received. 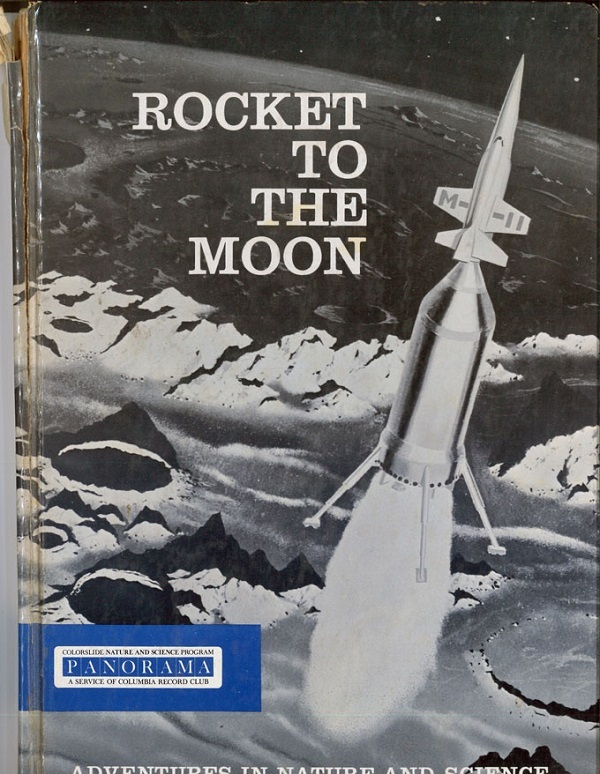 He says, “Some of these letters have been from young men … the rocket engineers of tomorrow.” In 1957 it was inconceivable, I’m sure, that a woman would become a rocket engineer. The author talks to the “fellows” who wrote him letters and uses the pronoun “he” and “him” throughout the book. Reason #1 to weed it. Also, it is a bit technical. It explains how rockets work and how they are tested. I’ll bet that’s a bit more complicated nowadays than this book indicates! Reason #2 to weed this: it’s waaaay out of date. This is twelve years before we ever went to the moon! Previous Post:A great choice for a parenting collection! Next Post:ALB risks eternal damnation! I started thinking about the “young fellows” that wrote our Mr. Stine. Those fellows are probably retired or dead by now…. This is my new favourite blog. I used to go to a primary school which had been in steady decline for the entire 40 years it was open. 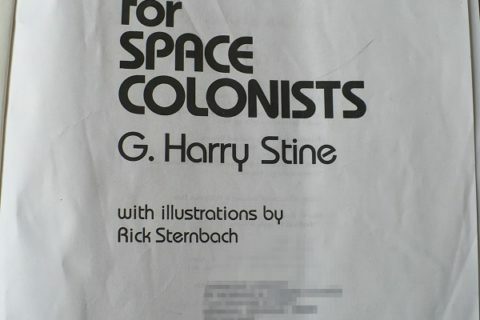 By the time I got there (the early 90s), our library was filled with anacrhonistic oddities such as these. One of my favourites was “Western Stories for Boys”, which I think even featured a picture of a heroic cowboy tying up some mean ol’ Indians – which even at a young age I couldn’t help cringing at. I often wonder what people in hundreds of years time would make of such literary marvels, but I have enough fun giggling at such nonsense from only 30 years on that it doesn’t matter. Keep up the wonderful work (the blogging & the culling). 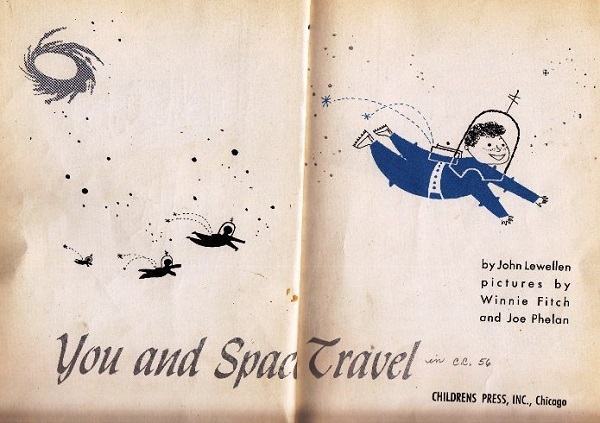 1957, exactly the year Soviets put the first Sputnik in orbit. I would *totally* enjoy that book as a cultural artifact, perhaps purchased at the Friends of the Library fund raising book store. But as part of a current collection? No. where’s the rss feed link? Is there a better pronoun? I did not see what size library you have. If it is a school library, or a small public library branch – get rid of it. If it is a large public library or an academic library this has some historical interest, so it depends on whether it circulates. And really, do we weed based on our bias? People used masculine pronouns in the 1950’s. 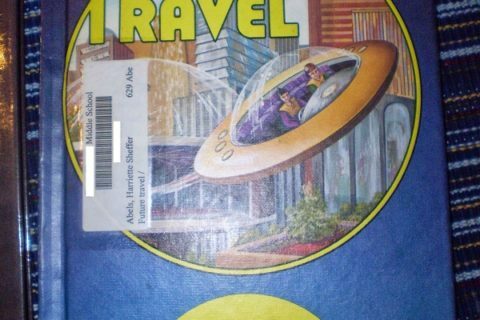 For the record, this book was from a youth section in a medium/smallish public library. Thank you, Tom. I used to work in an academic, humanities library where the long view was desired. The other day I ILLed for two “political,” joke books from 1962 that I remember reading in 1963. I was pleasantly surprised that some libraries still had them out there on OCLC. I agree that the best place for such books, though, is in a large public or academic library. I bet this is a best seller in Pyongyang. “Fellows” and “he” tend to be appropriate….upwards of 90% of engineers are male. Like “she” and “ladies” tend to be appropriate when talking about early childhood education. And what better way to make women stay out of the profession than to treat them as if they don’t exist? mc, it’s not about statistics, it’s about inclusion. That kind of thing can mean the difference between encouragement and giving up, for a kid interested in the subject. 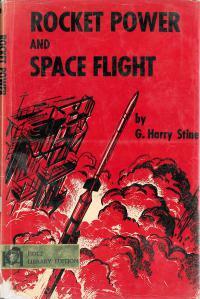 G. Harry Stine also wrote the Handbook of Model Rocketry that is still a classic in the model rocket hobbyist circles, with editions out as lately as 2004. I have a quarrel with your gender-based complaint: he writes of letters he received. Without knowing for certain that he received letters from girls or young women and ignored them, how can you tell he’s not being strictly factual? I am very much for female empowerment and would love to see more women in science, but let’s give people a little benefit of the doubt. Back when I was a library assistant, I probably annoyed our collections director by arguing the case of many a technical or science book. I’m very much for clean, modern, accurate collections – but I’m also against literary ageism as well. Just because a book is old does not necessarily reduce its value. Reminds me of my 8th grade Science book.